Agora Vintage set up camp at the Brick Lane Upmarket yesterday (sun sep 11th.) This was just a tester to see how things would go, and we got a lot of love. We can only bring down a 100 hats a pop, so if you see things pictured, or online, then ask us to bring it down and we will. For those that slept on yesterday’s market, we’ll be back in London in two weeks. 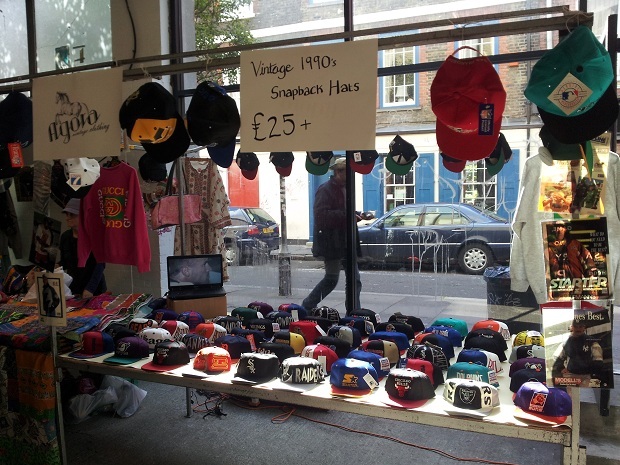 This entry was posted in brick lane, snapbacks london, uk snapbacks, upmarket, vintage snapbacks, wholesale snapbacks on September 12, 2011 by agora.